Organic cotton is highly profitable. However, growing cotton without herbicides for controlling weeds means that more labor is needed in back breaking hand weeding. A recent analysis of organic cotton production reports that the bulk of this labor falls on women’s backs. “The aim of this article is to describe the economic performance and perceived social and environmental impacts of organic cotton in southern Kyrgyzstan… Due to lower input costs as well as organic and fair trade price premiums, the average gross margin from organic cotton was 27% higher… The major disadvantage of organic farming is the high manual labor input required. 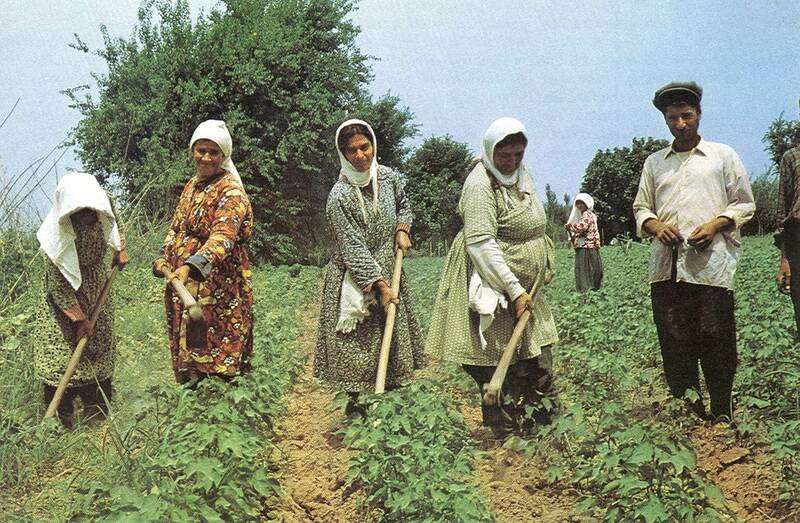 In the study area, where manual farm work is mainly women’s work and male labor migration is widespread, women are most affected by this negative aspect of organic farming. Affiliation: Centre for Development and Environment CDE, University of Bern, Switzerland. Title: Potential and limitations of organic and fair trade cotton for improving livelihoods of smallholders: evidence from Central Asia. Source: Renewable Agriculture and Food Systems. 2011. 27(2):138-147. This entry was posted in Herbicides and tagged back breaking work, backs, controlling weeds, hand-weeding, Herbicides, organic cotton, women by pesticide guy. Bookmark the permalink.